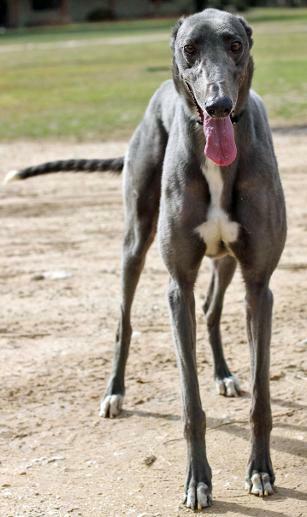 History: Lyncoln is an unusual color for a Greyhound – blue. But there’s more to him that just a pretty color. 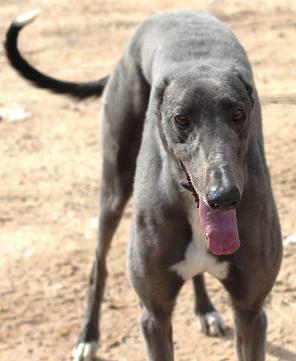 His dam, Okie Lynda, is a Molotov pup; and sire, Trent Lee, is out of the Brent Lee line. 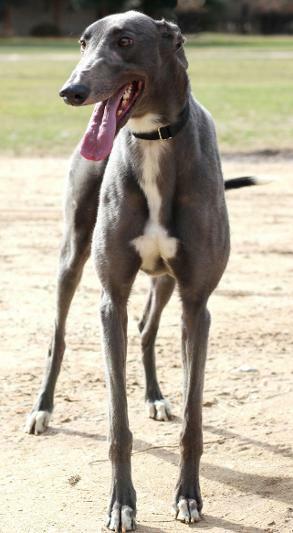 According to trackinfo.com, he ran a respectable 81 races before retiring in late October, 2014. He raced at Grade A mid-career (and won 3 races in a row) but slowed down and did not run much in 2014. He’s been jammin’ at the farm since November, 2014. Lyncoln will be a very handsome boy after he loses his farm coat. We will know more about his personality after he settled into his new foster home. 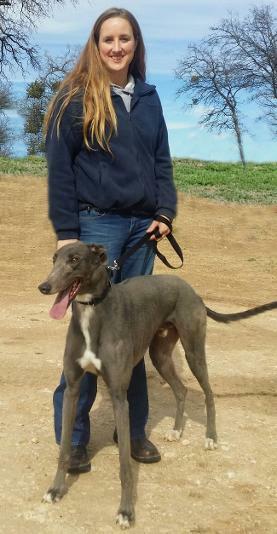 Lyncoln with his new mom Sara! Congrats to Lyncoln and his new family! 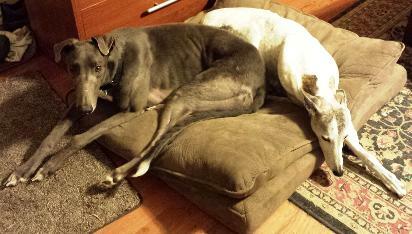 February 1, 2015 update: Lyncoln has settled into retirement in his forever home. Congrats to all! 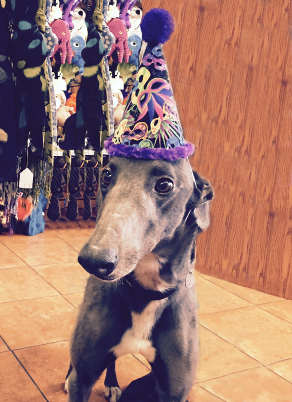 January 24, 2015 update: Lyncoln came to TAGS for a life of retirement and to find his loving lifetime home.